You expect strong products with sophisticated engineering from Siemens; Siemens' HVAC components live up to those demands. 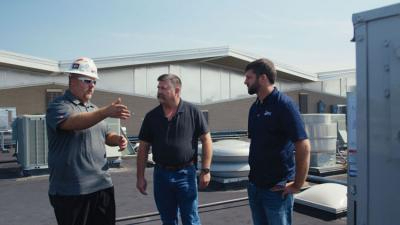 Their lines feature construction that make installation simple, options that help users save money and designs that make Siemens a welcome addition to any facility. See how Siemens HVAC building controls can work for you. Siemens offers the broadest range of heating, ventilation and air conditioning (HVAC) controls in the industry-more than 35,000 components across 35 product categories. Building owners specify a computerized central control system in new construction and remodeling projects to maximize the efficiency of their building environmental equipment.